The Florida Department of Transportation (FDOT) scheduled to begin construction early February 2017 on a bypass around the Town of Baldwin. Superior Construction Company is expected to complete the $60 million project by Spring 2020. 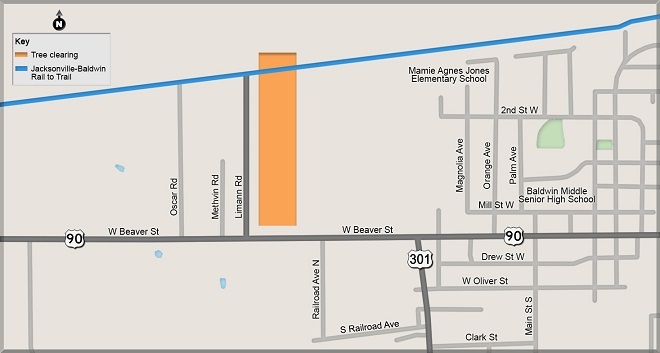 The project includes constructing a new four-mile, four-lane divided highway beginning north of the I-10 westbound on-ramp and two new signalized intersections at Beaver Street (U.S. 90) and Brandy Branch Road. 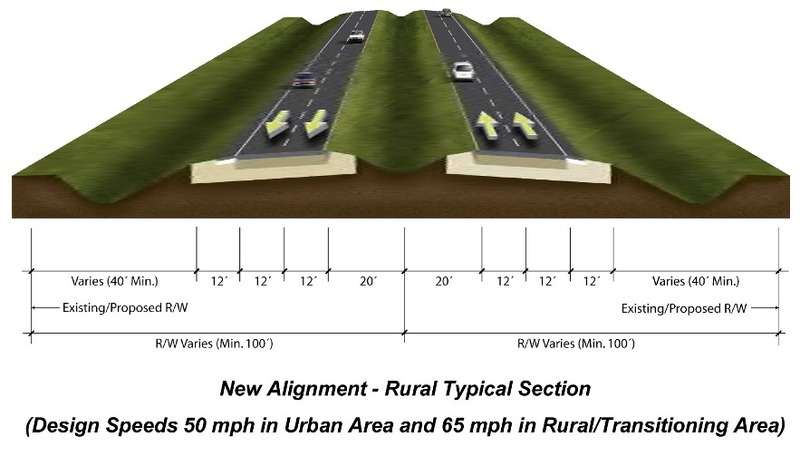 Plans also include building an overpass across two CSX railroad crossings and an additional overpass over the Jacksonville-Baldwin Rail Trail to alleviate traffic congestion and improve operational efficiency of U.S. 301, which is part of the National Highway System and Florida’s Strategic Intermodal System (SIS). An open house was held Monday, January 9. Topics discussed included timeframe, construction activities, traffic impacts and other details.